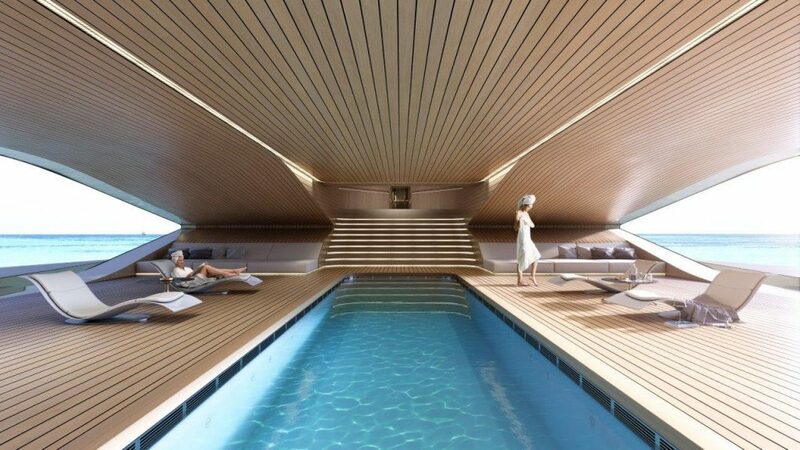 DESIGNED BY ONE OF THE WORLD’S MOST FAMOUS ARCHITECTS, THIS BOAT IS AN ICON IN ITS OWN RIGHT. 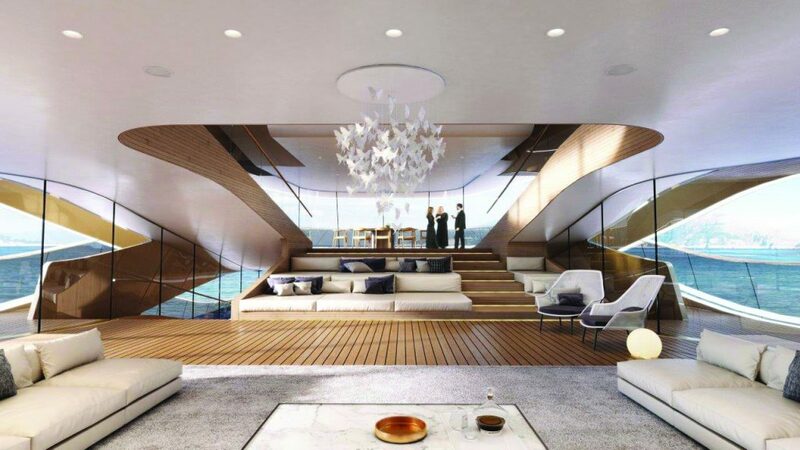 70 metres long and 14.20 metres wide, the Se77antasette superyacht has been contemporised to create a new look for a luxury boat. The entry level has three openings and branches into a huge terrace with a spa pool. The second can be used more for large events and features a DJ deck, a sweeping staircase and several areas for guests to party. 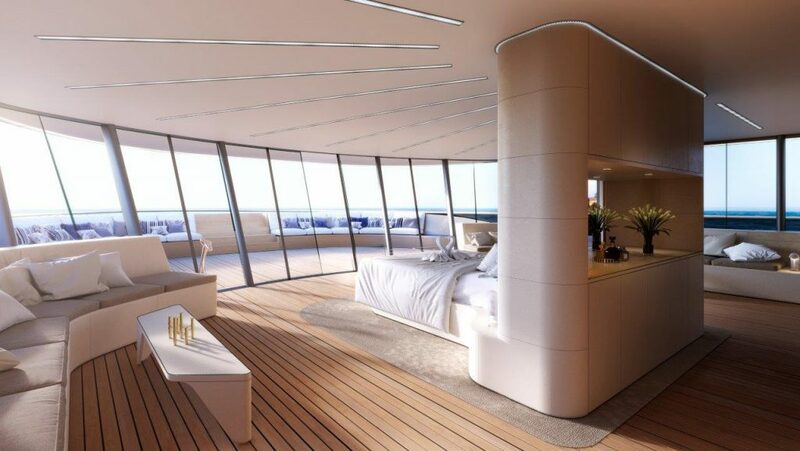 The master bedroom is on the next floor up and is a 100 square-metre space with 150 extra metres for outdoor luxury. 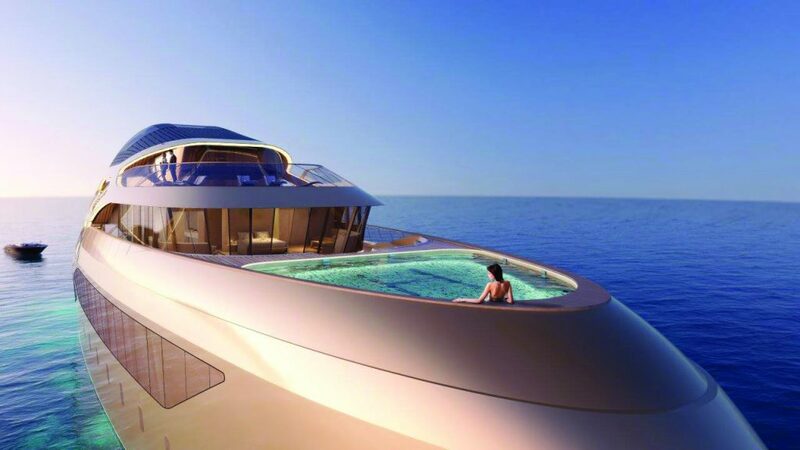 Inside, a high-tech studio or office, a made-to-measure wooden bed, a large marble bathroom, a swimming pool and a helipad. Coz’ who doesn’t need a helipad on a boat, am I right? ceiling. The coolest thing about this room is that it features AI panels so, just by speaking to it, the glass can morph into a nightclub, a map of the galaxies or a home theatre. Fernando Romero designed the Museo Soumaya (the most Instagramed building in the world) and the New Mexico City International Airport. 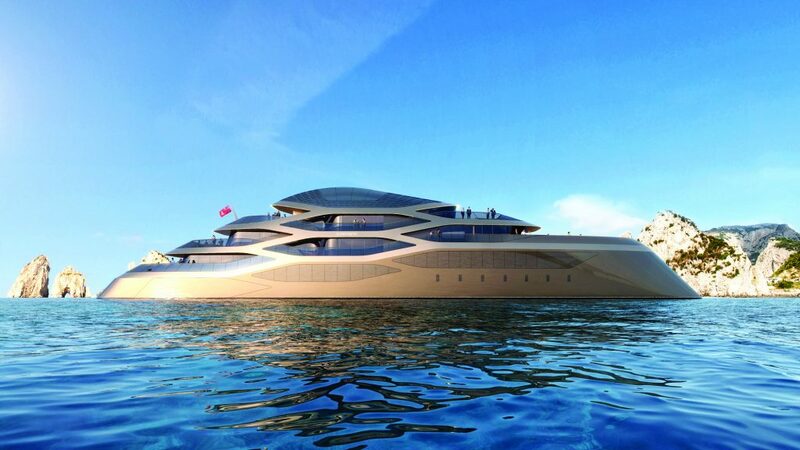 Aerospace designers from Benetti worked to give the boat a pretty impressive thrust. With the strength of 5 Caterpillar generators, four C32 engines, one C18 engines and two diesel motors to give it that extra push. The propulsion system delivers a top speed of 16 knots and a range of 5,000 miles at 12 knots. 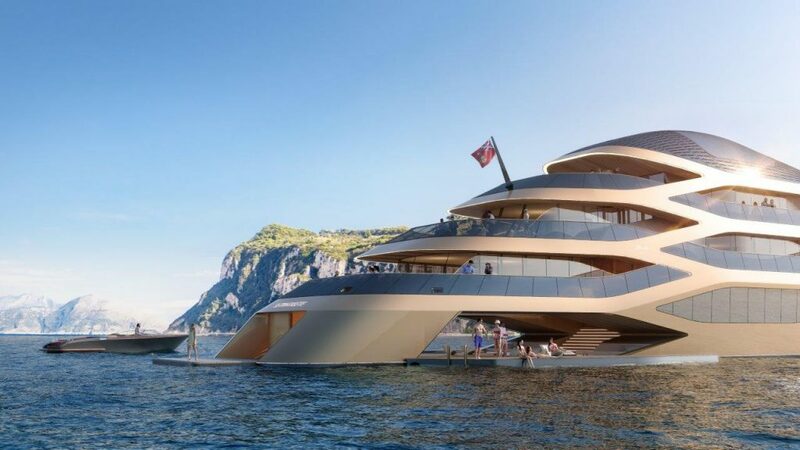 This concept was premiered in the Monaco Yacht Show last year and will hopefully be making some serious waves in the future!